We see an increasing number of citizens dissatisfied with their government organisations, at all political levels. At the same time, we believe in the potential of digital technologies to strengthen the interaction between elected representatives and their basis, away from elections and formal referendums. We foresee a future in which distinct and secure digital identities have become the norm for all citizens. With them, as well as through the algorithmic implementation of Random Sample Voting (RSV), political representatives can regularly conduct votes and opinion polls and take their results into account. 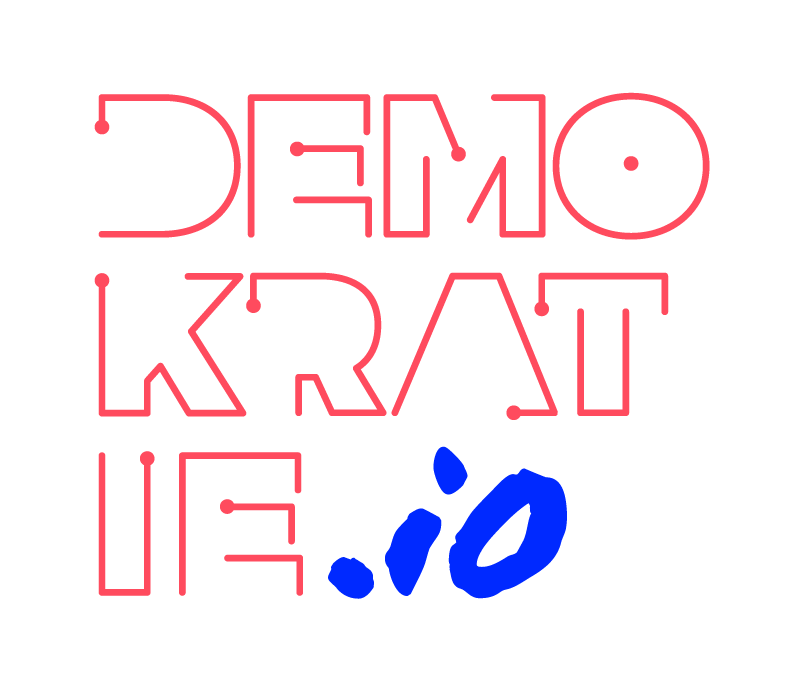 As part of the "Digital Identity, European Citizenship and the Future of Democracy (DECiDE)" project, we are designing and developing a technical prototype that combines digital identities and random sampling voting. In this way, we contribute to the toolbox of political participation and to the sustainability of a living European democracy. In addition to technical support from our partners, the Swiss Procivis AG and the Random Sample Working Group, we are funded by Advocate Europe and demokratie.io. We want to theoretically explore and practically test how well Random Sample Voting is suited as a future tool for digital participation. In order to do this, two existing software products will be used: eID + from Swiss Procivis AG and Random Sample Voting, developed by the project group led by David Chaum. In addition to research on the use of random participation models, the development of a prototype for online polls and referendums is planned during the first phase of the project (until August 2019). After completion of the prototype in early 2019, the system will be practically assessed in field tests. In order for the citizens of Europe to feel well and up-to-date with the politicians that they have elected, there is a need for a continuous development of tools for political participation, at all possible political levels. Digital infrastructures and technologies are opening up new possibilities, for example by reducing investment costs and reducing the time required. People's representatives can use new technologies to engage in regular exchanges with civil society, giving them a voice in politics. The context for this project is the perceived dissatisfaction of an increasing number of citizens with legislators at all levels, including the EU. In the long term, our project group would like to make a contribution by addressing this dissatisfaction through creating new opportunities for participation. The idea for the project came about in the fall of 2017 following a visit by David Chaum to the Alexander von Humboldt Institute for Internet and Society (HIIG), where he presented his system of Random Sample Voting (Random Sample Voting, RSV). Beforehand, Monique Morrow from „The Humanized Internet” had joined us; With her work on a "Digital Identity" (DI) for refugees, she has turned our attention to an IT application whose potential goes far beyond solving the specific problems of proving identity and qualification for refugees. 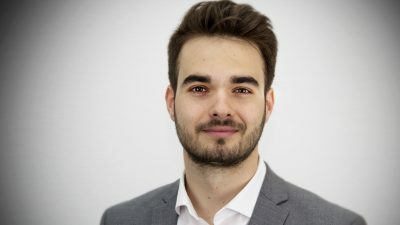 Ingolf Pernice, Research Director at HIIG, came up with the idea of ​​combining a Blockchain-based DI with the RSV to provide a tamper-resistant, cost-effective and efficient instrument that would provide more direct feedback between decision-makers and stakeholders in politics and society. This was followed by a workshop on "Digital Identity, Global Citizenship and the Future of Democracy" at the HIIG in May 2018. Participants were researchers from various scientific disciplines, such as computer science, law, political and social sciences. The workshop resulted in the model for a project, which was then submitted to the Advocate Europe competition of the Mercator Foundation. When the project was selected as one of the seven winners of the competition, concrete implementation began in September 2018. In November 2018, the funding for the development of the prototype was secured through the ideas competition demokratie.io organized by betterplace lab and the Federal Ministry for Family Affairs, Senior Citizens, Women and Youth (BMFSFJ). 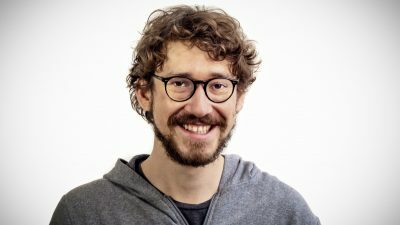 What expertise does the project team bring? The Alexander von Humboldt Institute for Internet and Society (HIIG) researches the development of the Internet from a societal perspective in order to better understand the associated digitization of all areas of life. 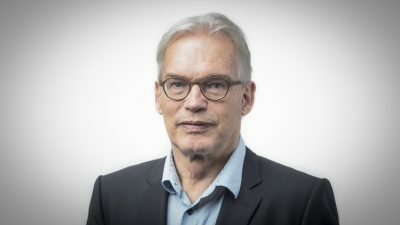 Research Director Prof. Ingolf Pernice, who initiated the project, is a lawyer specializing in constitutional law. 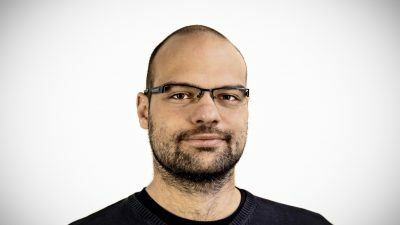 Project Manager Kai Gärtner is a computer scientist and also has practical experience in the development of technological solutions in the field of civic engagement. Dr. Anja Adler is a political and communications scholar and accompanies various projects on political participation in strategy development and public relations. Konstantinos Tsakiliotis and Jacek Wiland complement the project team as student assistants with legal and technical expertise. Moreover, other HIIG employees and cooperation partners support the project. The team building and conception creation took place in autumn 2018. The technical prototype will be created in the beginning of 2019. It will initially be tested and evaluated at the Alexander von Humboldt Institute for Internet and Society (HIIG) and then in spring 2019 at Berlin universities. A larger field test will take place in spring / summer 2019 in a smaller community. The accompanying research is being driven forward continuously; It concerns both fundamental questions of organization and its (constitutional) legal framework as well as more practical issues of political acceptance and further possible applications in the civil society sector. What will happen with the results of the project? The goal of the first project phase until the summer of 2019 is to gain as much experience as possible with the technical prototype and the proposed procedure. It is planned to present and discuss these first experiences from the two field tests at the Alexander von Humboldt Institute for Internet and Society (HIIG) and the Humboldt University in Berlin in a public event in spring 2019. In the summer of 2019, we will also publish a final report on the first project phase and the municipal field test. In between these publications, there will be updates about the project on our website as well as on the social media channels of HIIG, Advocate Europe and demokratie.io. How the outcomes of the project will be evaluated? The first impact indicator for the use and success of our prototype is the number of registered participants and the number of votes cast in relation to the selected sample. The number of registered users should be as close as possible to the size of population in question. Similarly, the number of people who participated in a vote should be as close as possible to the size of the selected sample. Furthermore, during the field tests we will be conducting anonymous surveys in order to asses public perception regarding digital identity, online voting and political participation. In addition, such a questionnaire would also provide an opportunity to obtain a general assessment of the public regarding the project. Given this feedback we will be able to derive more concrete statements about the acceptance of RSV and digital identity solutions. Furthermore, we would see it as a success if we make a contribution to the public debate about representativeness and understanding of democracy. For example, will the general willingness of citizens to vote change when they are being selected for the sample? How safe is the registration process? And what does representation mean in this context? If we could also get the qualitative answers to these questions, that would be a big win. What contribution does the project make to the future viability of democracy? We believe that the potential of digital technologies together with new processes can strengthen interaction between elected officials and their constituents, in addition to elections and formal referendums. The proposed project will use the prototype to show whether a cost-effective, secure and tamper-resistant and therefore trustworthy query of political opinions is technically feasible and, at least by those involved, considered useful for democratic legitimacy. However, the procedure we have proposed as well as our prototypes can benefit all organizations that are interested in bridging the gap between decision-makers and stakeholders. If our approach works and is accepted as a complementary tool to stimulate democracy, in the medium term we would like to implement the use of Digital Identity-based Random Sample Voting as a concrete new opportunity for participation at European level. How representative is the voting based on a digital random sample? The aim of opinion polls and votes by the population is to reflect the majority opinion as well as possible. In representative surveys, in addition to the random selection of the interviewed persons, the selection is influenced by the demographic information and socioeconomic characteristics of a given population. These include, for example, age, level of education or income of each person. Due to the data protection laws, our project waives such model for random sample selection. In contrast to traditional opinion polls, the vote in our procedure is conducted online, many more people can be reached in less time. The closer the number of registered users to the size of a population that will be asked on a particular topic, the more representative sample becomes. What advantage does the random selection have over the regular election? The random survey has the distinct advantage that it requires only a small number of people to be interviewed on each voting topic, which means that frequency of such polls can increase significantly.. Political decision-makers and other institutions could reinsure their citizens much more frequently and catch up with their impulses or moods. We also follow the assumption that people who have been selected for a sample value their votes more and deal more with the subject in a more responsible way. Why the random samples aren’t used more often then? The determination of a representative sample only works well, when the population is known and everyone can be reached. So far this has hardly been possible with analog methods. Pollsters bypass this condition by weighting their samples and trying to match particular distributions of characteristics in the population (e.g., gender, age, etc.). Therefore, another technological development is needed, so that the the random sample can be successfully used in the future: e-identities. These are not yet widespread, but some pilot projects are researching and working on them. The unsuccessful digital identity card is the most recent example in Germany. Other EU countries have so far progressed significantly further with respect to digital identities. In Estonia, all citizens already have a digital identity. Our project partner Procivis AG brings in its experiences from Switzerland and allows us to use its e-identity app. In the not-too-distant future, it is conceivable that all citizens can be reached through a digital registration for random surveys. Why aren't your samples also weighted according to criteria, as the opinion research institutes do? For reasons of data economy, we want to work with as little data as possible and only need the name, address, email address and date of birth in our process. In addition, a reliable weighting is not so easy: For some of the criteria - such as education, gender or age - we know what the distribution in the population looks like and it is possible to weight according to it. For many criteria that may be relevant to answering a question, we simply don't know. In our opinion, the weighted sample is therefore always more distorted than a random sample of appropriate size to reduce the sampling error towards zero. Why do you use eID+ and not the electronic identity card (nPA)? As part of our project, we would first like to test the added value of combining e-identities and digital random selection. Our aim is to make the first field test as simple and cost-effective as possible. The digital identity card in its current form or other administrative solutions are not yet widespread enough. Registration on the Procivis AG eID+ app is quick and easy for all citizens with a smartphone. What is the difference between the electronic identity card (nPA) and the eID+ app? The nPA enables citizens in Germany to identify themselves to services on the Internet using the activated authentication function on a verified card reader or via a smartphone. These services are mostly offered by public authorities. They meet certain technical standards and communicate directly with the reader used, which confirms the nPA's digital signature and stored data. In the eID+ app, users enter their data themselves and then have it verified by a trusted entity. In our project, this trusted entity is the Alexander von Humboldt Institute for Internet and Society (HIIG). However, depending on the use of the prototype, this function can also be taken over by a public authority, an association or another organisation. Why is the electronic identity card (nPA) not so widespread in Germany? The electronic identity card was introduced in Germany at the end of 2010 to enable citizens to identify themselves digitally to service providers. However, this is only used by very few people in Germany. Reasons for this are the costs of the necessary additional hardware (card reader), the lack of electronic services and security concerns within the population. Although the functions can now also be used using a smartphone with NFC technology, the usage figures have remained at an unchanged low level for several years. Even the fact, that the eID function has been activated by default for issuing ID cards since 2017 and can no longer be deactivated on request, has not changed this so far. How much does it cost to work with the prototype? Is it really cheap? A concrete cost estimate for the use of the prototype can only be made after completion of the first project phase and will depend very much on the concrete design of the field test. Essential factors for the costs are e.g. the operating costs of the servers for the project. If the capacities at the Alexander von Humboldt Institute for Internet and Society (HIIG) are sufficient, an in-house implementation will be aimed at - not least for reasons of data protection. 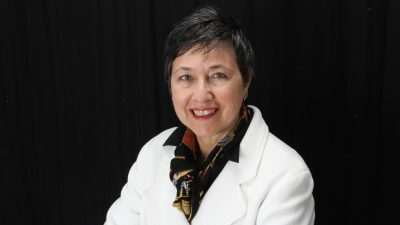 Should it become apparent, however, that these capacities are not sufficient for an increasing number of users, it will be necessary to switch to a larger computer centre. The rental costs for servers alone can amount to about 250 € per month. In addition there may be maintenance and service flat rates of the provider. Three further essential factors are the number, address and registration of the participants of a vote. If the address takes place e.g. in the context of a citizens' meeting or other meeting, the advertising and registration costs are relatively manageable. In this case, an appropriate publicity campaign and the registration and verification of the participants on site are sufficient. In the case of a decentralised vote, these costs can be much higher - for example, when sending to a random sample from the registration register of a municipality and the subsequent verification using PostIdent or other decentralised procedures, such as fixed appointments at the citizens' office. In both cases, the costs increase with the number of potential participants, as in both cases there is a greater effort for the organisation of the vote. Over time, voting also becomes cheaper, as verification only has to take place once and therefore only occurs during implementation. Which related projects exist and how can they be distinguished? In Germany and at European level there are now several projects for opinion polls and citizen participation. For example, opinion surveys are carried out by EU Survey, Democracy Germany, Who Thinks What, Crowdwise, Insight, YouGov and Dalia Research. Other platforms focus more on political debate and integrate opinion leaders such as Polis or Loomio. There are also commercial providers who, like Polyas, specialize in online elections or, like Verimi, in digital identities. However, we are not aware of any project that relies on a verified identity solution and combines it with digital random selection. However, there have already been some analogue experiments with randomly selected citizens' assemblies, for example in Iceland in 2009 and in Ireland in 2016. Our project has a unique selling proposition through the combined technologies and concepts and, with the use of eID+, picks up on a new development that is gaining in importance with ePerso and the EU's eIDAS regulation. Is your project all about voting? Even if with the help of our prototype only "yes/no" questions can be voted on at first, it is just as important for our project that these surveys are prepared in advance by sufficient information and discussion. As part of the project, we make the necessary information available on a website and plan the survey as part of a discussion event that we want to implement with our local partners. It would also be conceivable for the discussion to be accompanied online with the help of an existing software solution. What is the history of the process in political theory envisaged in the project? Within the framework of our project, we use the terms random questioning, random selection and sortition synonymously. Sortition already has a long history in political theory and refers to the political-philosophical concept of demarchy. This form of rule was particularly widespread in the democracy of Athens (Boule or Council of 500) and in the Italian cities of the Renaissance (Venice, Florence) even until the end of the 18th century. Sortition seemed successful in preventing corruption in politics and achieving the smoothest possible harmonization of the various interests by representing voters according to the principle of rotation. The economic, political and cultural growth of these political communities corresponded with the application of sortition. After the American and French revolutions, the republican form of rule became the new status quo and thus consolidated the electoral system as an indispensable element of today's modern Western democracies. The application of sortition was now limited primarily to the appointment of juries in the Anglo-Saxon judicial system. In the context of the current discussions on the possibilities of citizen participation, sortition again gained political attention - through several political experiments such as the Citizens' Committee on Constitutional Reform in Iceland in 2010 and the Citizens' Assembly in Ireland in 2013. What are the arguments in favour of sortition in democracy? The scientific literature lists various advantages of sortition. For example, sortition ensure that each property that appears in the general population is represented in approximately equal proportions in a randomly selected sample. Assuming, firstly, that the sample has a significant number of members and, secondly, that it results from a pool consisting of the total population to be represented. In addition, sortition can better avoid political outliers: Extreme groups are usually sufficiently motivated to undermine the political process. They can thus claim a degree of political influence that is completely disproportionate to their size. Sortition can prevent this effect by preventing such "runaways" from being overrepresented. David Chaum of Random Sample Voting (RSV) also argues that sortition increases the sense of responsibility of the drawn citizens. As part of the select few, they feel obliged to inform themselves comprehensively and do good for society. This includes people who traditionally feel excluded from the political process for social or ethnic reasons. Further arguments are put forward for the use of sortition for the election of political bodies and the filling of offices, which are not, however, in the foreground for our project at the present time. The registration is done using the app for Android and iOS provided by us. These will be available in the respective Appstore at the beginning of the field tests. After registration, the users will be verified by employees of the Alexander von Humboldt Institute for Internet and Society (HIIG) or by the administration of the organizing municipality for the field test. In this case, the data deposited with the registration are checked on the basis of an official photo ID. Verification can be carried out either on site or via video chat by presenting a document. Which method is used depends on the specifications of the organisation which is responsible for the voting. How exactly does RSV voting work for me as a user? Voting via RSV takes place via so-called "ballots". These are voting codes which are entered in combination with an anonymous login on the voting website. To do this, you first have to register with your login and then enter the voting code. Each user receives two sets of codes on a digital ballot by e-mail or within the eID+ app. As it is not possible to read off the underlying decision from the codes alone, the secret ballot is also guaranteed in the case of a proxy vote. The system ensures that only one of a user's voting codes can be submitted. Once a code has been submitted to a user, the system will not accept any further codes. How is the sample for RSV determined? After registration using the eID+ app provided by us, a representative sample is drawn from all registered users for a specific voting item. For this we use an implementation based on a true random value according to the specifications of the National Institute of Standards (NIST). The participants selected in this way will then receive the voting codes required for the vote. The selected participants then receive so-called voting ballots for voting. These enable the selected participants to participate with "Yes" or "No" in the specified voting process by entering the corresponding "voting ballot" on a website provided for the vote. What data is collected and who has access to it? In addition to the user's name and date of birth, other data is collected for verification purposes during registration. For field tests that are limited to one municipality, it must be ensured by providing the address that the participating person is registered in the relevant municipality. A valid email address is also required to contact and transmit the voting codes. All data is collected by the Alexander von Humboldt Institute for Internet and Society (HIIG) according to the current planning status and can only be viewed by its employees. After completion of the model project, these data will be deleted within a period of three months at the latest. How is the municipal field test designed? Together with a municipal partner, we identify a participation project and a question for a "yes/no" survey in which the administration is interested in a mood picture. The field test then takes place within the framework of an event (at least 100 citizens) at which the prototype is used on site, i.e. a secure random sample is drawn. All participating citizens must register on the app within the framework of the event and thus agree to participate in the random voting. At the same time we offer the possibility that all participants can vote on the spot. In this way we can compare both the results and the user experience. We support the municipal partner in organising the event and also communicate the project by providing the relevant communication products (website, information material etc.) and accompanying media work. How binding is such a coordination within the project? Formally, the results are a non-binding opinion. However, we are specifically looking for project partners who are interested in the results of this participation procedure and use it with the intention of orienting their future actions accordingly. Irrespective of whether the procedure is used in a (municipal) political or private context, we are committed to ensuring that the handling of the results is clearly communicated in advance. This includes in particular a clear justification of the final decision by those responsible. This is to ensure that the participants participate in the project with a clear idea of how to deal with the voting results. Sponsors Part of Advocate Europe, the European idea contest by MitOst in cooperation with Liquid Democracy, sponsored by Stiftung Mercator. Subscribe to our newsletter and stay informed about the project. More information on how to support the institute.